Welcome to your new paradigm. How are you feeling about this? It was a huge Blood-Wolf-Super-Epic-All-the-Names Full Moon Lunar Eclipse on January 21, 2019, in case you missed it. It was magnificent to say the least, and I, for one, feel different. I feel like I am looking at life through a very different lens. With that Moon, we received a powerful upgrade, which is still settling into our bones, our body and our mind. It’s been in your soul for lifetimes just waiting to be heard and so now, here we are, listening intently. Brand new paradigm. Like trying on a new suit or new hairstyle-- it feels weird at first. 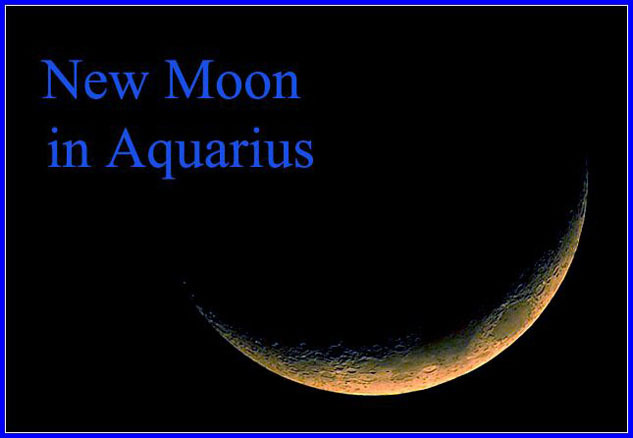 On February 4th, 2019 we have a New Moon at 15° Aquarius. If you’re planning a big project for 2019, this is your New Moon! If you are starting something new, you will have a higher likelihood to succeed. Especially if it is work related…or romantically infused. This New Moon is a very auspicious New Moon to be honest. So you may feel a bit off if you’re stuck to any of your old negative, self-sabotaging patterns. They will come up, but now you will actually witness them as they are happening; and in that moment of witnessing, you will have the opportunity to shift. You have always had that opportunity but now there’s no option but to bow to the call of evolution. You have become the observer of your life, whether you like it or not. A New Moon always brings about opportunities for change. It’s about planting those seeds, the ones you want to harvest and see grow. It’s about making changes and checking in. This one is really big. This New Moon is conjunct Mercury and sextile Jupiter. With Mercury sextile Jupiter, your focus is on communication, expansion, generosity and overall happiness. This is a great Moon to socialize, negotiate, commiserate and, honestly, have those hard conversations. We are all seeing things from a higher perspective, so take the leap and you use your voice. Mars conjunct Uranus creates a strong urge to break out of any limiting situations in your life. It’s time to break the mold, leave the cesspool and let go of self-sabotaging behaviors. For good. And I mean it. Take that risk, say that thing you want to say and follow your instincts all the way back to your heart. Flashes of insight should not be ignored and neither should your dreams. It all means something; pay attention and act. Uranus will head into Taurus in a couple of months… then things will begin to settle … but not yet. But the big aspect that really drives the abundance home with this Moon is Saturn sextile Neptune. This is one of the most EPIC aspects to grace this New Moon, and we will experience it three times this year!! I LOVE 2019 already! So yeah… this is an EPIC time to be alive and creating your life. Your dreams are coming true! Even if they don’t look like it …trust the process, it’s happening. Saturn provides the fortitude, discipline and work ethic to take your Divine Mission seriously. Neptune adds romance, spiritual service and love to the wonderful equation. If you are starting a new project, stay open to support, collaboration and gifts you didn’t expect. Keep going, keep dreaming and settle for nothing less than what your heart really wants. This aspect will help you believe in yourself and your ability and believe in others. But mostly, it will help you believe in the unseen. But you have to trust. Aum Shreem Som Somaya Namaha! May the light and essence of the moon always bring healing and illumination into your being. Dana goes over everything from the aspects to the transits, and supports you in staying on your path of evolution. 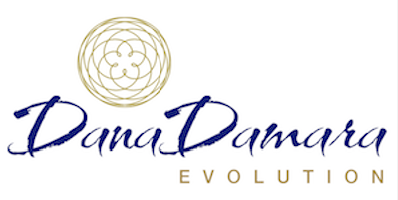 If you’d like a reading from Dana Damara, just mention you read this in SFYOGAMAG and you will receive $20 off your first reading.